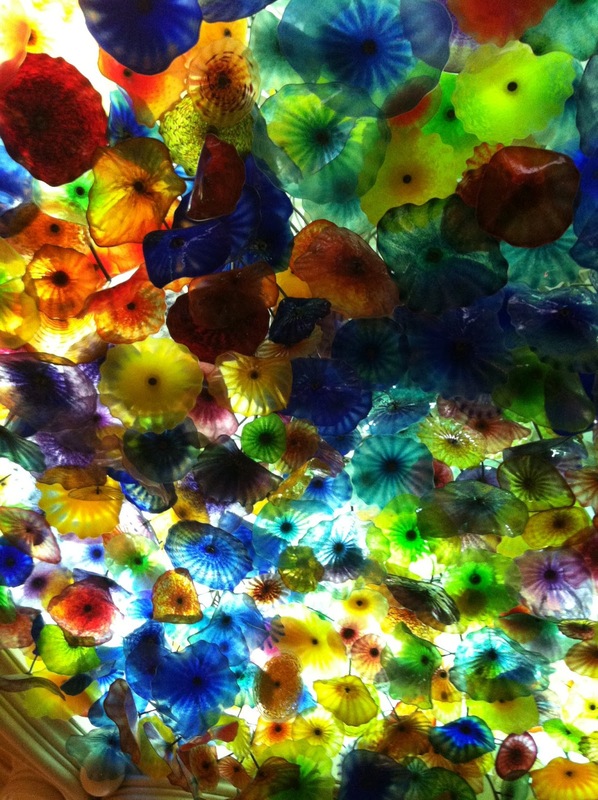 Always Aubrey: Las Vegas, Part I: Walking the Strip + Jersey Boys! 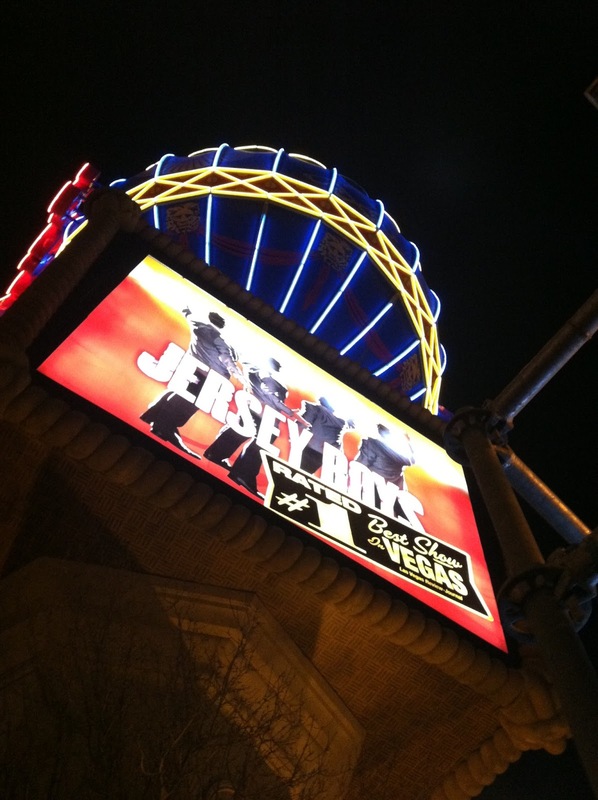 Las Vegas, Part I: Walking the Strip + Jersey Boys! I was traveling to Las Vegas for work this week, and when Mom heard we got the idea to fly out early and enjoy a weekend on the strip. 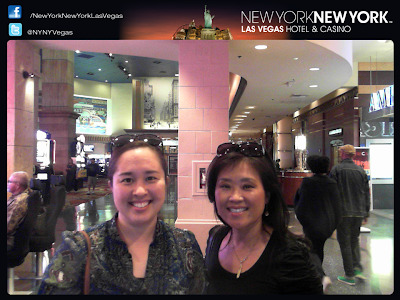 We got a great deal to stay at New York New York, which I originally anticipated would be cheesy and older... turns out, it was modern, fun, had a ton going on, and was one of my favorite casinos! We really liked our room, which had a partial view of the strip. We were kind of on the far south side of the strip, so the first day we did a TON of walking to orient ourselves. 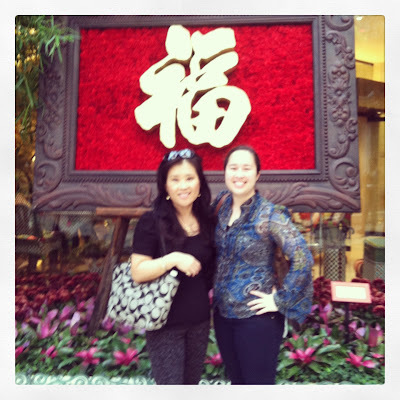 We walked from our hotel to the Bellagio, stopping to check out shops and things along the way. 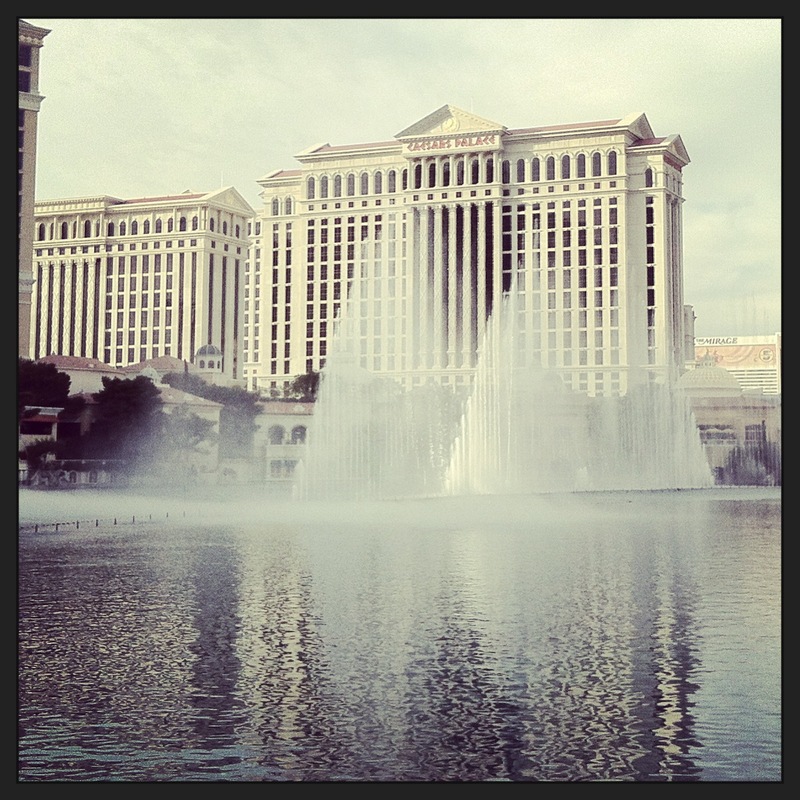 We caught the famous water show at the Bellagio, then headed inside to take a look at the beautiful hotel. 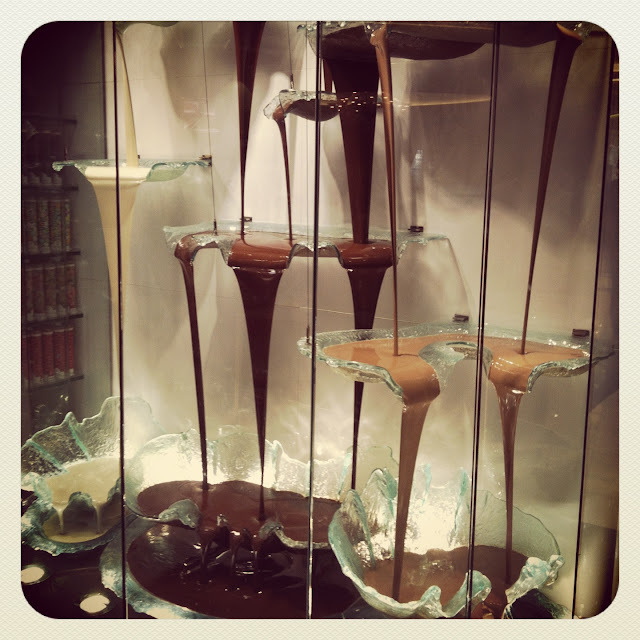 I love the blown glass inside the Bellagio... and also the insane chocolate fountain we saw at a candy shoppe! In addition, it was the last day of Chinese New Year's decor, so Mom and I got to see the great floral decorations. I happened to be wearing my Chinese "happiness" earrings that day too! That night, we had dinner and a show planned... a delicious French dinner at Mon Ami Gabi, and some great tickets to see Jersey Boys. Both were at the Paris casino. 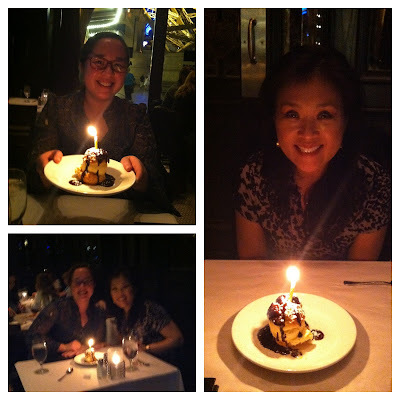 We celebrated our birthdays at dinner (Mom's was in February, mine is this month) with a little dessert too. We also thought the show was very well done; we both love musicals. Mom took me to my first musical when I was in middle school, so it was fun to see a show together again. 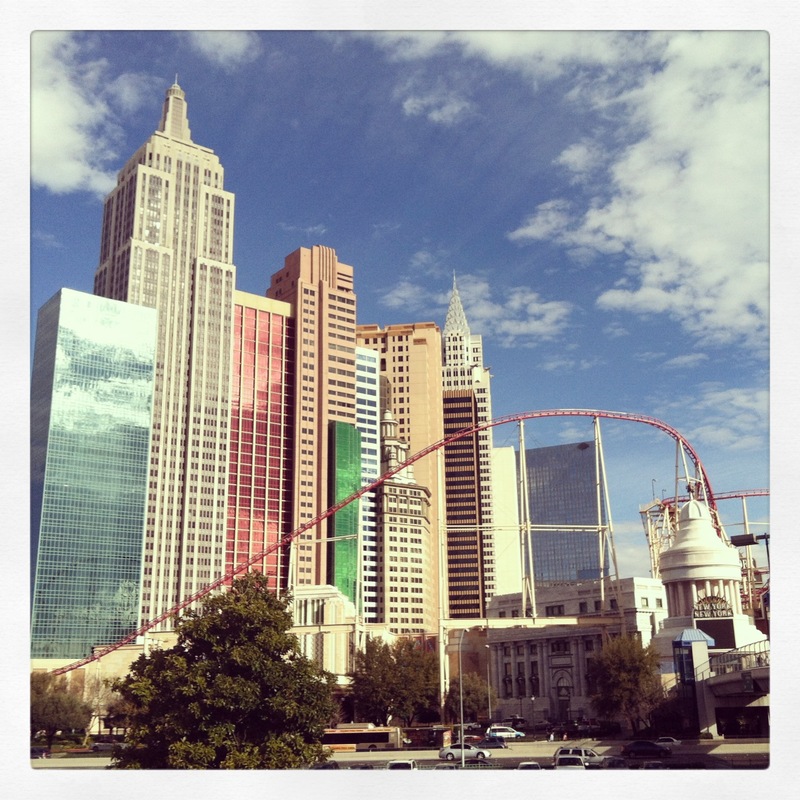 It was an awesome time, and we definitely slept well after such a full day on the Strip!